Welcome to Day 3 of A Very Crafty Christmas~Virtual Craft Fair. There are 10 participants with lots of variety including handmade quilts, Christmas ornaments, stocking stuffers, unique crafted Infinity Scarves, jewelry, children’s winter accessories, books, Thirty One products, Avon products through online shopping, and a large variety of monogramed items. Today we will get to know 4 of the talented participants. Please be sure to visit their stores! Debbie ran her own retail store for more than 12 years. She made signs and banners as well as doing screen printing and embroidery. They sold ad specialty products. Now Debbie focuses her attention to metal art. She makes jewelry and refurbishes furniture. Her jewelry is hand finished in patina, powder coat or a torch effect. Debbie offers hand stamped silver plated metal necklaces with a variety of features. 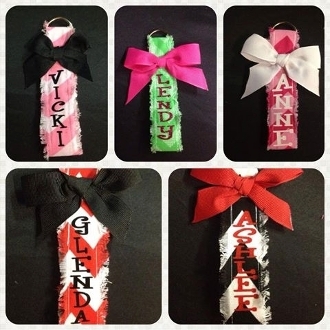 She also offers charms with names, sports or a variety of choices. Debbie does take special orders. Go here to Like her Facebook page which is where all of her jewelry is sold. She takes Pay Pal, just send her a private message on her Facebook page, Backyard Originals, to place an order. Debbie currently is also offering a nice collection of Christmas ornaments and decorations. Don’t you just love these adorable Grinch ornaments? Debbie will monogram these for you as well! Be sure to check it out by going here! Brenda Bradford was featured in the article, Entrepreneur Work at Home Mom Success Story which you can read here. She and her husband, Joey started Brand It Boutiuqe back in June after making the decision for Brenda to become a stay at home Mom to their two children. Brenda has many years of experience in the field of monogramming. Their second child, Ellie was born in March. Her big brother is 12 years old. Brenda and Joey wanted the children to be able their Mom available at all times. They started their business with only the Facebook business page as well which you can go Like here. 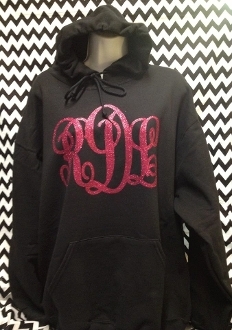 Brand It Boutique specializes in vinyl monograming. They can monogram almost any surface. Shop Brand It Boutique on their Facebook page here or their website, http://www.branditboutique.com/ or their Etsy store also called BrandItBoutique here. We have a Thirty-One Consultant participating in this event!!! If you are not familiar with Thirty-One, let me tell you…they have a very large collection of Totes, Bags, Accessories, Purses, Stationary, Thermal lunch totes and even more! They come in a large variety of lovely patterns and colors to suit any taste! You can Shop the Thirty-One store here. There are Christmas sales going on NOW so hurry over before all the best deals are gone! Go here to see the specials! If you enjoy reading, you will not want to skip checking out author Elaine Littau! Elaine Littau is the author of 10 published books and many magazine and newspaper articles. She is a mentor/coach to other authors and enjoys teaching book marketing techniques as well as public speaking for groups. She has been a church secretary, led women’s groups, taught pre-school, and was a mentor for the M.O.P.S. (Mothers of Preschoolers) group in her community. She and her husband, Terry, are Texas panhandle natives who enjoy camping and traveling as well as spending time with family and friends. 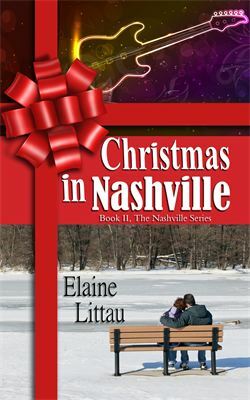 Christmas In Nashville is book 2 in the Nashville series. You can purchase it online here. Elaine is author to a series called The Nan Series which is set in the 1800’s. The Nan series is depicts characters who struggle with hatred depression, loss and fear. The Nan Series is also full of passion, heartbreak, romance, rivalry, and hope. All of Elaine’s books are available for purchase on Amazon or her website. There is currently a special .99 price on the Kindle edition of Six Miles From Nashville, the first of the series. Visit Elaine’s website, elainelittau.com here. You can visit her blog, nansjourney.blogspot.com, here and Like her on Facebook here. Yesterday, we met Regina Partain of Regina At The Lake and Amy Gay of Butterfly Angels Quilting. Please go read more about them and their talents at A Very Crafty Christmas Virtual Craft Fair Day 2. Be sure to enter to win one of the many prizes all of our crafters and vendors have donated for this event! I LOVE that jewelry!!! So unique! And very meaningful! Nice Giveaway and great feature on the artists and consultants. Hope I win. Thanks for stopping by. I hope you found some nice gift or stocking stuffer items!